There’s something thrilling about inventing a recipe. And though I’m not 100% sure that I invented this (it may very well have existed, somewhere, before me) let’s pretend that I am to this recipe what Isaac Newton is to gravity. No apple fell on my head, but garlic toasted in my head as I tried to figure out something new and different to do with couscous. Here’s how it all works. 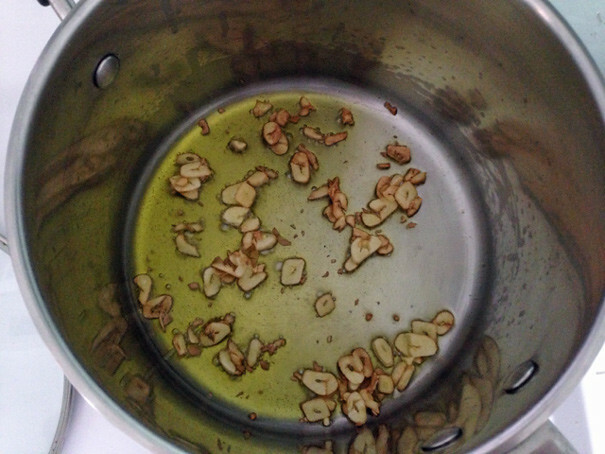 In a pot, add a big splash of olive oil and several slivered cloves of garlic. Turn up the heat and toast the garlic. When I say “toast” I mean: let it get dark brown. Not burnt, though, because then your couscous will taste rancid. 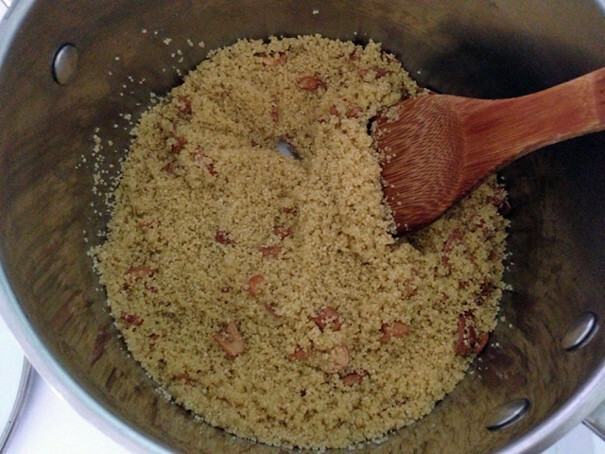 Take it as far as you can and when you start to get nervous, add a box of plain couscous, stirring all around to coat with the toasted garlic-infused oil. Lesser cooks might ad their liquid right away at this point but not me. I decided to toast the couscous for a few minutes the way that I’ve toasted oatmeal in the past. 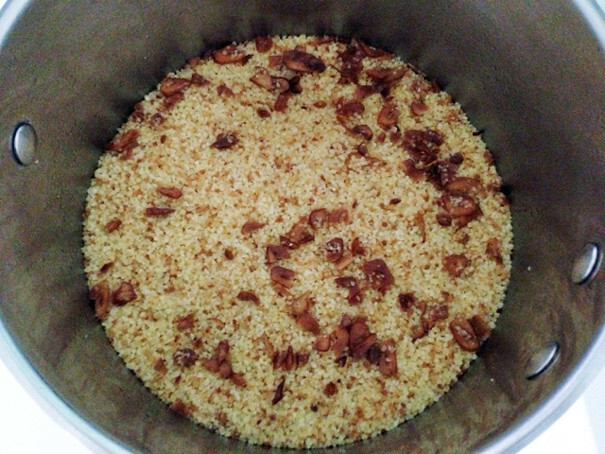 This results in a more pronounced couscous flavor, something you might describe as “nutty.” When the couscous begins to change color–turning golden brown–it’s time to add the liquid. I added water (based on package directions) but chicken stock would be terrific here. 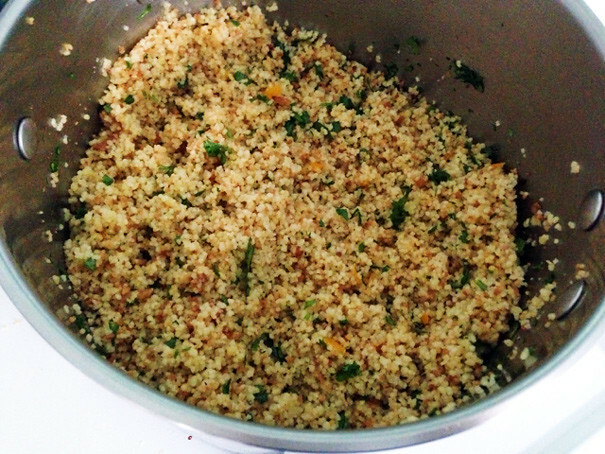 Be prepared: it’ll sizzle because that couscous is hot hot hot. Add a big pinch of salt, turn off the heat, cover and wait a few minutes. 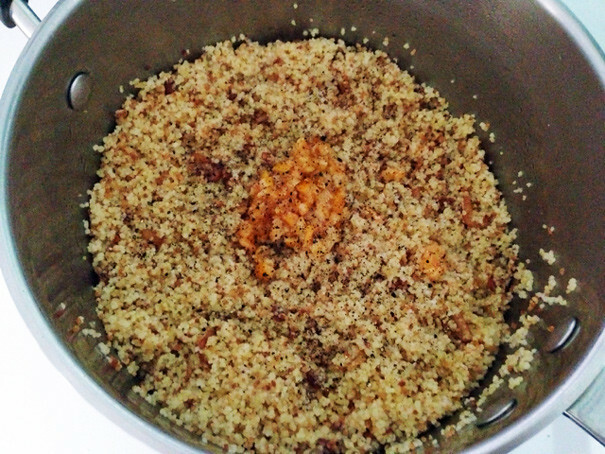 Before you know it you’ll have toasted garlic couscous which you can fluff with a fork. If you taste it here you will be impressed but you will also be slightly underwhelmed: yes you taste the toasted garlic and the toasted couscous but it still needs some help. 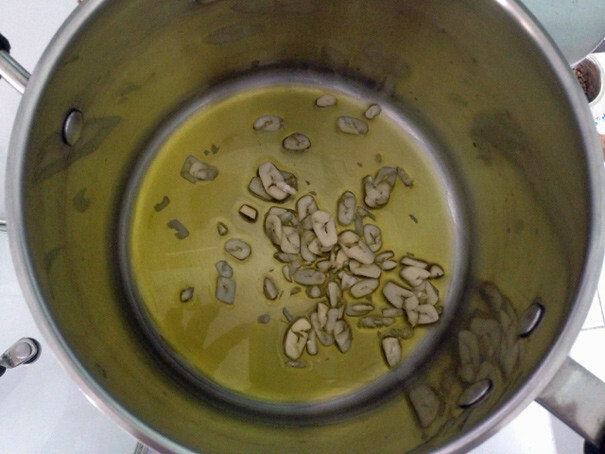 So add some chopped up preserved lemon, a big splash of olive oil, freshly squeezed lemon juice and black pepper. Stir that in to taste and then add chopped parsley or cilantro. 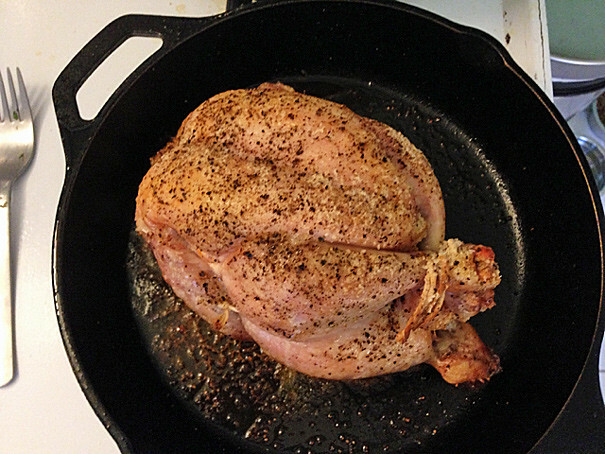 At this point you can stop and enjoy the fruits of your labor but couscous needs a protein to go with it so I bought a fancy chicken from McCall’s–a Kendor farms chicken–which I roasted with salt and pepper in a cast iron skillet in a hot oven. 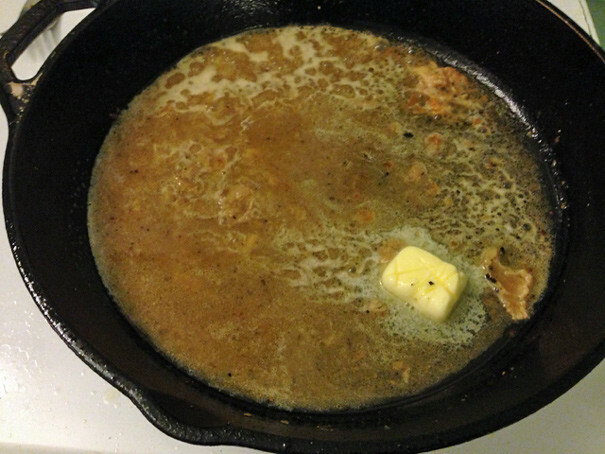 Then, in that skillet, I made a lemon butter sauce like the one I made in this post. Look at this turbulent sea of chickeny lemony buttery fabulousness. 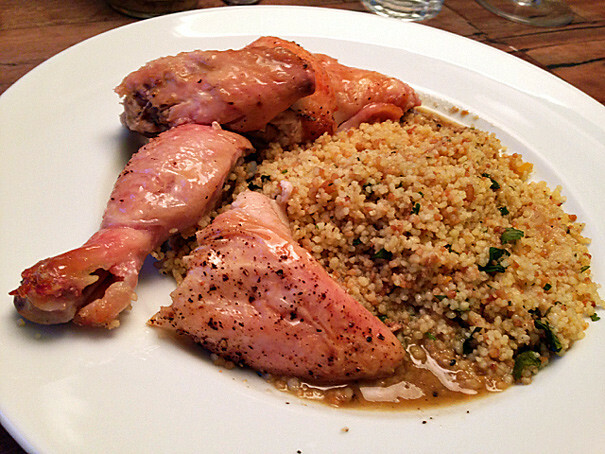 Cut up your chicken, spoon up your couscous and then pour that sauce over everything. It’s a dinner to write home about. Like you might actually get a pen and paper and write a letter to your parents about how good this dinner was. And, when you really think about it, it’s a greater contribution to society than the theory of gravity. Isaac Newton: 0. Me: 1.